Finally a hijacked road sign makes it to Dayton, Ohio! This popped up in between Miamisburg and Springboro on I-75. 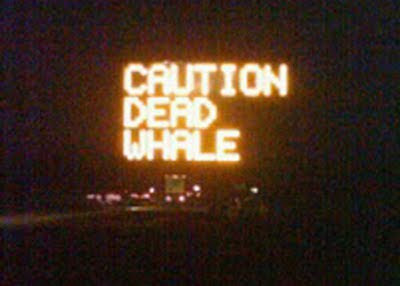 Thank God it wasn't a "CAUTION DEAD NAZI ZOMBIE WHALE" or I don't know what I would have done.